Both MLC (multi-level cell) and TLC (triple-level cell) NAND SSDs are expected to see up to 16% increases in price this year, as demand from OEMs remains strong while fewer MLC SSDs are produced. Analysts at TrendForce report that the SSD/NAND crunch is continuing as predicted. Contract prices of MLC (multi-level cell) SSDs have risen 12-16 percent from Q4 2016, and a similar increase of 10-16% is expected for cheaper TLC (triple-level cell) SSDs as well. As a result of mainstream consumer-grade (TLC) SSDs getting more expensive, OEMs may cut storage capacity in order to maintain prices, according to Brad Linder of Liliputing. 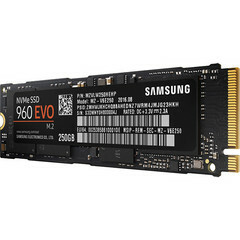 Prices are going up due to high demand for SSDs on the OEM side and a slight supply crunch due to a refocusing on 2D and 3D-NAND TLC technology. On the OEM side, PC and Phone makers are buying more SSDs to meet consumer demand. According to TrendForce, SSDs have a 48 percent industry adoption rate at the moment, and that is likely only going to increase. At the same time, the consumer market is moving away from the less cost-effective (but faster and more reliable) MLC SSDs and towards the cheaper 2D-NAND and 3D-NAND TLC technologies.